In the United States, enough painkillers were prescribed in 2010 to medicate every American adult around the clock for one month. That is a LOT of pills. No wonder the pharmaceutical industry is one of the most lucrative money-making industries in the world! You may recall that I wrote about an experience in my family which may not be so atypical given this article. 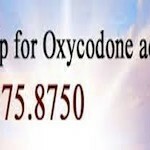 We have all heard about the extreme addictive qualities of Vicodin and Oxycontin. I had a friend who was battling cancer and her doctor had her on Oxycontin for five years. He originally had prescribed it to her because she was feeling pain in her bones, but it was not long into her use that it was clear that she was hooked. She made no apology and felt no remorse, choosing, understandably, a high that might decrease some of both the physical and emotional distress that her cancer was causing her. Her story might be a justifiable one for the use of Oxycontin. However, there are many stories of doctors who provide Oxycontin to their very wealthy patients on the most superficial of claims. Oxycontin is the drug of choice among the wealthy and many articles have been written on the widespread misuse of this drug. In part this is because the Food and Drug Administration (FDA) has painted broad strokes for what constitutes enough pain to justify the use of Oxycontin. In spite of the fact that there has been urging on the part of a group called “Physicians for Responsible Opioid Prescribing,” the FDA has done nothing to change their denotation of what constitutes justifiable pain. This topic is rather slippery since the claim can be made that individuals do have different pain tolerance. However, with the high levels of abuse that have been documented in the widespread use of Oxycontin, one might wonder whose pocket the FDA may be in. After his resignation from his post as Commissioner of the FDA in December 1969, Herbert L. Ley, Jr., in an interview with the New York Times, warned the public about the FDA’s inability to safeguard consumers. People were being misled, he believed: “The thing that bugs me is that the people think the FDA is protecting them – it isn’t. 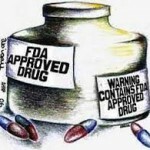 What the FDA is doing and what the public thinks it’s doing are as different as night and day,” he said. …… Ley was critical of Congress, the Administration and the drug industry; he stated that he had “constant, tremendous, sometimes unmerciful pressure” from the drug industry and that the drug company lobbyists, combined with the politicians who worked on behalf of their patrons, could bring “tremendous pressure” to bear on him and his staff, to try preventing FDA restrictions on their drugs. The interview concluded with Ley stating that the entire issue was about money, “pure and simple”. This was back in 1969. If anything has changed since then, it is that the pharmaceutical companies have even more leverage with the FDA. Prescriptions for painkillers in the United States have nearly tripled in the past two decades and fatal overdoses reached epidemic levels, exceeding those from heroin and cocaine combined, according to the Centers for Disease Control and Prevention (CDC). At the same time, the first-ever global analysis of illicit drug abuse, published this month in the British medical journal The Lancet, found that addictions to heroin and popular painkillers, including Vicodin and OxyContin, kill the most people and cause the greatest health burden, compared with illicit drugs such as marijuana and cocaine. High-income nations, such as the United States, the United Kingdom and Australia, had the highest rates of abuse, 20 times greater than in the least affected countries, according to the Lancet study. It would seem that our love affair with pharmaceutical drugs is not doing a whole lot to help us in our health but it sure as heck is helping the pharmaceutical industries to make lots of money. Recently, I came across the following article (see below). Since it contains any and all the elements I might point out had I written the article or even just quoted parts of this article, I am inserting the whole article, with an occasional comment of my own. Pay attention, as I can’t say this seriously enough. Last week, the FDA took a drug off the market, and the reasons should send shivers of fear down the backs of consumers, investors, generic drug companies – and the FDA. The FDA announced last week that the 300mg generic version of Wellbutrin XL manufactured by Impax Laboratories and marketed by Teva Pharmaceuticals was being recalled because it did not work. And this wasn’t just a problem with one batch – this is a problem that has been going on with this particular drug for four or five years, and the FDA did everything it could to ignore it. The FDA apparently approved this drug – and others like it – without testing it. The FDA just assumed if one dosage strength the drug companies submitted for approval works, then the other higher dosages work fine also [my emphasis]. With this generic, American consumers became the FDA’s guinea pigs to see if the FDA’s assumption was right. It wasn’t. In December 2006, the first generic versions of the popular anti-depressant Wellbutrin XL were approved by the FDA. The drug comes in two dosage strengths, 150 milligrams and 300mg. The 300mg dose is generally used for patients with more severe depression and anxiety and patients who don’t respond to the lower dose. The FDA approved generic versions of both dosage strengths from a few generic drug companies: Teva Pharmaceuticals (manufactured by Impax Laboratories and marketed by Teva Pharmaceuticals), Anchen, Actavis, Watson Pharmaceuticals and Mylan MYL -0.95% Pharmaceuticals. Almost immediately, the FDA started receiving reports from patients that claimed the 300mg dose was being associated with side effects and reduced efficacy. The People’s Pharmacy, a well-known syndicated radio and newspaper columnist husband and wife team, notified the FDA that hundreds of patients had logged their own complaints of side effects with the then-recently approved generic version of Wellbutrin XL. The FDA brushed off the People’s Pharmacy and others that raised the issue, stating that they had faith that the drugs were equivalent and that perhaps the patients, who had mental disease, were more prone to perceived problems with a change in the medication than others. This was seen by many as essentially telling patients “it’s all in their head.” [my emphasis added]. After several more years and public outcry, the FDA was forced to take action. What Action Did The FDA Take? Instead of doing its own study on the drug, the FDA asked the drug maker to conduct a study to determine whether the generic drug was equivalent to the brand. [my emphasis added and I will also add that asking the makers of a drug to conduct their own study might smack a little of conflict of interest. This also brings up a point that was made in the movie “Chow Down” that the FDA is not as independent a regulatory body as we are led to believe and their relationship with the food and drug industries are a lot closer than their relationship with the American people.] The FDA, in their recent press release, claims that Teva started the trial but later abandoned it because of slow patient enrollment. It was already 2010, several years after knowing there was a problem, the FDA was forced to do its own study. Did The FDA Drag Its Heels? The FDA study was completed in August 2012 – more than 5 years after the initial problems were reported. The FDA study showed that the 300mg dose from Teva is ineffective insomuch as it did not deliver enough of the drug. Oddly, despite the result being available in August 2012, the public was only made aware of this in October 2012. When the FDA issued its press release on October 3rd, it said that the FDA made a mistake in that it had taken the data for the 150mg version. Since that dosage had worked fine, the FDA just assumed that the 300mg dosage would work. I am not joking – they indicated that this case caused them to change the way they do things. They approved the drugs by extrapolating the data for the 150mg, assuming the 300mg works the same. FDA has approved five generic versions of Wellbutrin XL 300 mg. Each of these generics was approved based on bioequivalence studies comparing the 150 mg strength of the products to Wellbutrin XL 150 mg. Studies were not performed directly on the 300 mg strength of the products. Rather, the bioequivalence studies were performed using the 150 mg strength, and the results were extrapolated to establish bioequivalence of the 300 mg product. FDA has determined that this approach is no longer appropriate to establish bioequivalence of 300 mg bupropion hydrochloride extended-release tablets to Wellbutrin XL 300 mg, and the Agency is revising its guidance to industry for how to conduct premarket bioequivalence studies in generic bupropion products. This cleverly worded press release hides the fact that this method of approving Wellbutrin XL or any drug is not only “no longer” appropriate, but was never an appropriate way of approving drugs. Just extrapolating data is an erroneous assumption and ignores basic principles known by most high school science students. In addition, if you don’t test the larger dosages, what if drug companies simply submitted 300mg drugs that had no drug in them? That seems like more than just a moronic mistake, but a dangerous approach to approving drugs. But What About The Other Generics The FDA Approved? The FDA has long been a strong proponent of generic drugs, and generics have saved consumers and the federal government billions of dollars vs. brand-name drugs. Many consumers incorrectly believe that a brand drug is identical to the generic drug, and even the FDA on its website calls generics “identical.” Generic drug companies are subject to FDA inspections just like their name brand counterparts, but the drugs themselves do not need to be identical to the brands; they need to be “bioequivalent” and are given leeway on how close to the brand they need to be. To me, it’s similar to how Cheerios are almost like the store brand of toasted oat cereal – “Cheery-O’s” – very similar, but not the same. Roughly speaking, “bioequivalent” means they need to show that the drug releases an active ingredient in nearly the same, but not exact, concentration as the brand. But how could the FDA know if a drug is bioequivalent if it doesn’t even test it? It can’t. The lack of efficacy for a high dose anti-depressant is really a safety issue, not a manufacturing issue. How many patients who were not adequately treated on the 150mg dose were put on the 300mg only to see their symptoms get worse because the generic did not work as promised? How many patients, doctors, and their families thought that this was simply a further deterioration of a patient’s condition and mental state? How many parents had to worry about their children when their anti-depressant seemed to stop working? How many people committed suicide taking a generic antidepressant that did not work? And the appalling part of all this is that the fact that this could have been prevented if the FDA had simply tested the drug before they approved it, or at the least heeded the hundreds of complaints. The FDA should conduct their own study of the bioequivalence of the other generic Wellbutrin XL it approved and not rely on the drug makers. The FDA should immediately conduct a review of all generic drug approvals in this class and others to determine what other approvals were made with the same faulty approach of assuming that if one dose worked then the higher dose or lower dose must work the same. Since the FDA has now abandoned this faulty procedure because it resulted in ineffective drugs being put on the market, then it should re-review all these previous approvals. The FDA should conduct a thorough study of how the vigilance system of early warnings and warnings from others such as the People’s Pharmacy went unheeded for more than 5 years. The FDA should undertake the difficult but important step of researching which patients took the 300mg generic, which ones may have attempted or committed suicide while on the 300mg or shortly after being switch from the ineffective. 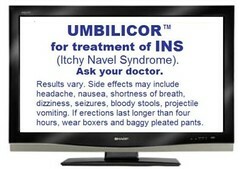 Research how many institutionalized patients are on the 300mg dose – advise they are switched to the brand immediately. The families of these patients should know why the drugs they trusted to work didn’t. The FDA should tighten the regulations for bioequivalence for narrow therapeutic window drugs, especially those that pharmacists and patients have already complained about not working. The FDA should provide consumers with the timeline and all correspondence and phone records surrounding this case to show why a two month delay would take place from knowing the drug did not work to telling the public. Congress should convene an oversight committee on how this happened and what it means for drug safety. Was there anyone at the FDA during this or previously that had issue with the “if the 150mg works, then assume the 300mg works too” approach? The FDA Commissioner Peggy Hamburg needs to answer for this. When you keep score by loved ones’ worry and by patient lives cut short by suicide, this is not just the tale of a simple recall, but of a failure of the system and sign of dangerous incompetence. No part of this article is intended to be investment advice nor should it be considered investment advice. For disclosure purposes, at the time of this writing, I own shares of Teva Pharmaceuticals. Nothing more need be added to this nicely presented article. We tend to shake our heads, exclaim in horror, or laugh when we see those advertisements on television that encourage viewers to try a new drug by first toting how they will change one’s life and then warning about the potential side effects. You know the ones: Are you depressed? Are you suffering from erectile dysfunction? Are you unable to go outside because of allergies? Do you have trouble falling asleep at night? We shake our heads over the fact that television allows this sort of rubbish advertising, exclaim in horror at the audacity of the drug companies in “pushing” their wares in so blatant a fashion, or laugh at the absurdity of the potential side effects. We wonder who in their right mind would put anything like that into their body, anyway? A report by the Kaiser Family Foundation found that consumers are very responsive to the intent of this kind of advertising, and that a significant number do in fact act as prompted by the concluding suggestion in many of the commercials: “Ask your doctor if ______________ is right for you.” The report says that “nearly a third of adults say they have talked to their doctor about a drug they saw advertised, and 44% of those who talked to their doctor received a prescription for the medication they asked about. [added emphasis] This means that 13% of Americans have received a specific prescription in response to seeing a drug ad.” The study concluded that for the period examined, each additional dollar that the pharmaceutical industry spent on direct-to-consumer advertising yielded $4.20 in additional pharmaceutical sales in that year. The article demonstrates how advertisers subordinate the language warning viewers of the potentially dangerous side effects with pictures that actually counter the words that are being said. We know the adage that a picture is worth a thousand words, and so the way these advertisements are presented cause our visual cues to the brain to override any aural cues. I suppose another term that could be used is that viewers are being brainwashed into believing the purity of the drug. The legislation that results in this peculiar experience being available to US television viewers is broadly the Federal Food, Drug and Cosmetic Act, and more narrowly, Title 21 of Federal Regulations and a Guidance for Industry issued by the FDA and the Department of Health and Human Services in 1999. All of these documents spell out in great detail the prohibitions on various practices that a profit-seeking corporation might be tempted to engage in, but guidance about the exposition of major risks posed by these drugs is not very specific: it must be presented “either the audio or audio and visual parts of the presentation.” ….drug manufacturers seem to have chosen the course that will showcase the benefits of their products visually, while a simultaneous audible portion presents the cautions.